MACC’s gift to the Maui community ... Free Community Events! Partnering with the County of Maui and other sponsors to host free events for the community to gather and enjoy. This series of outdoor movie nights brings families and neighbors together for an evening of free, family-friendly films on the giant screen in Yokouchi Pavilion. Bring blankets and beach chairs to relax on the A&B Amphitheater lawn, let the kids play freely, enjoy a keiki art activities and live music. FREE! A showcase of Hawai‘i’s great slack key guitar musicians, presented in a laid-back, local-style outdoor festival. Bring your own beach chair, blanket or lauhala mat to stretch out on the lawn and enjoy an afternoon of music from mid-day till dusk. The lineup always includes many of your favorite musicians and recording artists to make an annual favorite Maui event, fun for families and all ages! FREE! Enjoy a relaxed afternoon on the lawn as acclaimed ‘ukulele musicians fill the air with island music! (Line-up TBA in September). Renowned ‘ukulele advocate and teacher Roy Sakuma will serve as M.C. to help us celebrate Hawai‘i’s beloved instrument. Fine ‘ukulele will be featured as doorprizes. The festival also features displays of made-in-Hawaii arts and crafts and ‘ono-licious island foods available for purchase. A beautiful day for the whole family - visitors and residents alike! FREE! This once in a lifetime national juried exhibition will present a selection of artists and their unique interpretations of nine National Parks in Hawai‘i. 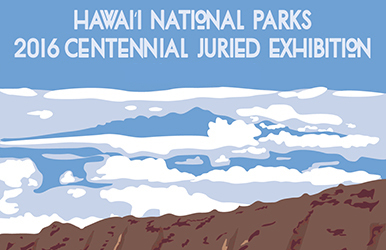 This exhibition is supported in part by The Hawai‘i Pacific Parks Association, Friends of Haleakalā National Park, and the Hawai‘i Park Service, with cash awards sponsored by Haleakalā Ranch.